Active Chem-Dry provides pet urine odor removal and our Pet Urine Removal Treatment (P.U.R.T.®). Our service returns your carpet to its original state after pet accidents occur. Don’t let a pet accident become permanent. Call us at (949) 612-7464 to schedule an appointment. P.U.R.T. has been proven to deliver excellent results. Pet urine stains require immediate professional care. DIY methods are not recommended due to the severe nature of pet urine stains. Active Chem-Dry serves Orange County, CA. Everyone loves their pets. No one loves their messes. Pet accidents on carpet can be a big problem. Turn to Active Chem-Dry for answers. Pet urine stains can be obvious due to either their smell or appearance. But over time you might just smell a stain and not see it if it saturates and seeps into carpet fibers. Technicians start our pet urine odor removal service with a UV light inspection. UV light detects pet accidents invisible to the human eye. The UV light will identify the source of the odor for targeted cleaning. Once the location of the odor is determined the technician will begin the P.U.R.T. process. P.U.R.T. is applied to the problem areas. This begins a chemical reaction that eliminates the odor and removes the urine from the carpet fibers. Don’t ignore pet urine stains. Pet urine odor removal is very important to protect your carpet. Pet urine causes a bad odor and encourages further accidents. Your pet will smell the urine and continue to defecate there. This compounds the problem. Address the problem ASAP. Pet urine can cause serious damage. If you ignore pet urine it will permeate as deep as floorboards and spread to surrounding walls and the foundation of a home. Urine will crystallize over time and become even more pungent and even more difficult to remove. We don’t recommend DIY pet urine odor removal due to the potential damage. 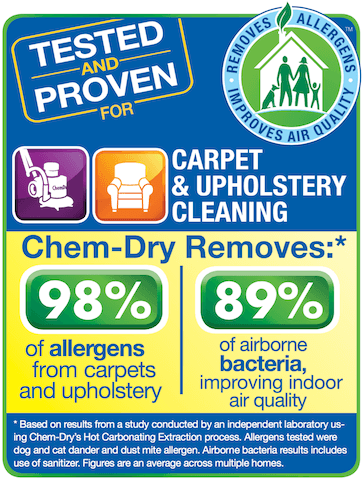 It is best to trust Active Chem-Dry to protect your carpet and fix the problem. Anything you purchase at a store to remove pet urine will have limited success and could do more harm than good. Basic carpet stain removal tips aren’t potent enough for pet urine and simple vacuuming won’t suffice. Pet urine requires a stronger cleaning agent and professional attention from trained technicians. You can conceal pet urine odor with air fresheners and routine cleaning but you can’t remove it entirely. You will only prolong and conceal the root of the problem. Active Chem-Dry doesn’t conceal the problem. Our P.U.R.T. system solves the problem at a molecular level. P.U.R.T. 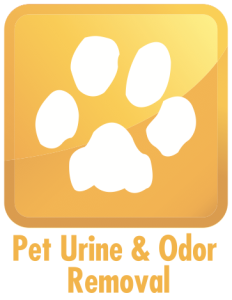 pet urine odor removal targets the most severe stains. P.U.R.T. is a first class cleaning agent designed to eliminate pet urine stains and odor. It destroys molecules deep within carpet fibers unseen to the human eye. After the initial inspection is performed, our technician will rinse the carpet using our standard Hot Carbonated Extraction (HCE) carpet cleaning process to remove dry soil and surface-level urine from the carpet. Then P.U.R.T. is applied. P.U.R.T. is able to reach the carpet fibers, carpet pad and sub floor to eliminate all instances of crystalized urine and complete the pet urine odor removal process. After application, P.U.R.T. requires 24-36 hours to successfully remove all the pet urine from the carpet. P.U.R.T., in accordance with The Natural and other non-toxic Chem-Dry solutions, is pet-friendly and safe for you and your family. It is the goal of Active Chem-Dry to offer healthy carpet cleaning services that produce a healthier home for you to enjoy. Chief Veterinary Officer and National Director of No Animals Were Harmed® Program with the American Humane Association, Kwane Stewart, D.V.M., better known as Dr. Kwane, shared his four Best Pet Products and Services of 2015, including P.U.R.T.